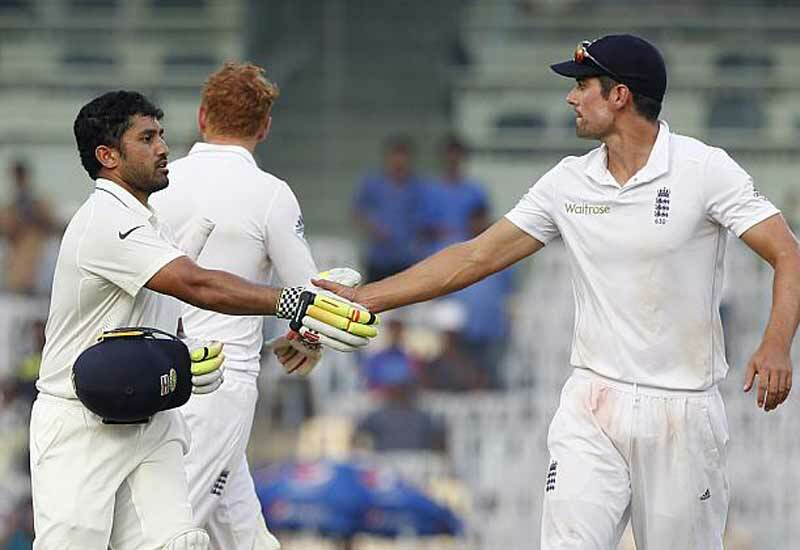 India vs England 5th Test: The last and fifth-day test cricket between India vs England is playing in Chennai’s heat. The Indian people and Cricket fans are celebrated Karun Nair’s triple century on this Monday. The man of the moment at Chennai against England has scored 303 in 381 balls. Finally, the day 4 has ended with the result of India’s 759 by 7 wickets in 190.4 overs. The seventh and eighth men of India has also helped Karun Nair’s record. Ravichandran Ashwin scored 67 runs and Ravindra Jadeja scored 51 in 55 balls in the first innings against England. Finally, Karun Nair reached 303 along with Umesh Yadav. The England captain Alastair Cook and Keaton Jennings have started their game on the second innings. The fourth day has Stumps with the England’s 12 in five overs. So, the team England trail by 270 runs at the end of day 4. Let watch the fifth-day action on Online and TV with the guidelines provided here. The Indian Cricket fans and the people can watch today’s IND vs ENG fifth test cricket on following TV channels. Star Sports 1, Star Sports 3, Star Sports HD1 and Star Sports HD3 are the lists, which broadcasting the Live match. People can also watch this match on Hotstar Live Streaming. The United Kingdom (UK) cricket fans can switch on the Sports TV channel of Sky Sports 2. Also, the online live streaming is providing by the Sky Sports on the following list. Watch Sky Sports and Sky Go are the official UK sports website to watch the final test cricket of England vs India. Sky Sports 3 is the official broadcast channel for the people of New Zealand. Fans can watch this match on live streaming online with the help of Sky Go NZ. Foxtel is the official online live streaming website in the Australia. People can watch this 5th test match between India vs England on Fox Sports. Also, check the OSN Sports Cricket TV channel and online Live Streaming of OSN Cricket Live in the Middle east countries. Alastair Cook(c), Keaton Jennings, Joe Root, Moeen Ali, Ben Stokes, Jonny Bairstow(w), Jos Buttler, Adil Rashid, Stuart Broad, Liam Dawson, Jake Ball.